So you want a watch with modern functionality and classic good looks? This season timing is everything with the Q Founder—a touchscreen smartwatch featuring the all-new Android Wear 2.0's interactive dials (for info at a glance), user-friendly messaging, customizable watch faces and automatic activity tracking. 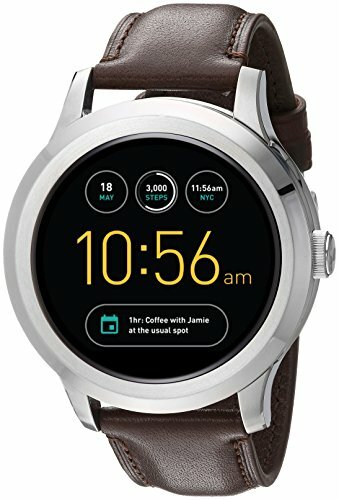 *Powered by Android Wear 2.0, Fossil Q Founder is compatible with phones running Android 4.3+ or iOS 9+. Supported features may vary by platform. Android and Android Wear are trademarks of Google Inc.